By early 2020, marijuana dispensaries, or shops that sell pot, are expected to open up across the state of Michigan. By the time that happens, law enforcement on Wisconsin's side of the border would like to see their officers ready and trained for what to look for in terms of drivers under the influence of pot. 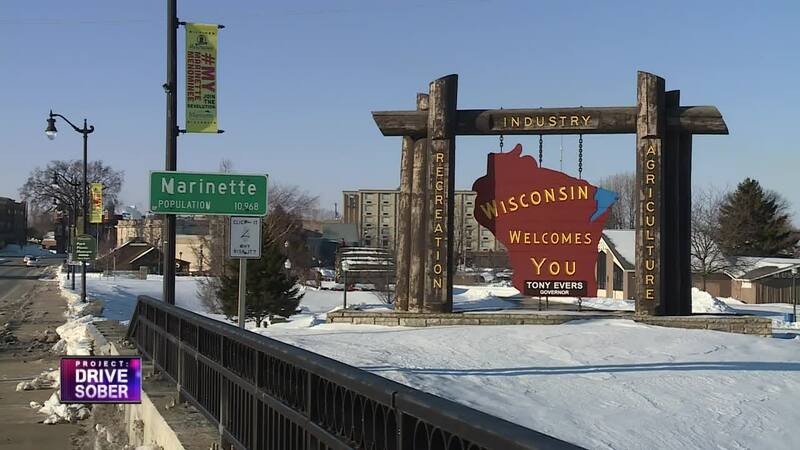 In Marinette, Wisconsin, along Michigan's border, police say that driving under the influence of drugs has become almost as big of a problem as drunk driving in recent years. That's part of the reason why drug recognition experts with the Marinette Police Department are continually bringing in volunteers from Michigan who have smoked marijuana legally so that their officers and officers from across the state can observe the telltale signs of impairment. This has become a problem that course instructors say is likely going to become a bigger concern for police across Wisconsin, once pot shops open in Michigan and tourists start making the drive for a visit. "It's important because we're gonna see more and more of it and unfortunately this isn't gonna go away," says Investigator Ragen. "With them having a recreational marijuana law we understand that people are driving under the influence because there is a higher use whenever you a have a new law that allows something to be legal," says Lt. Ries. Menominee, Michigan is expected to see a major influx in tourism once marijuana shops start opening in early 2020. Law enforcement along the border of Wisconsin say they just don't know what to expect on Wisconsin's side of that border in terms of impaired driving goes, once that happens. Tonight at 10 pm on NBC26 we'll be exploring this topic in greater depth. We will also be speaking with marijuana advocates about some of the positive impacts that recreational legalization could mean for Michigan.